Set back in its own garden with picturesque views of the mountains, as you walk through the front gate you will see the steaming hot tub in front of our Savoyard style chalet with large windows and traditional wooden shutters. 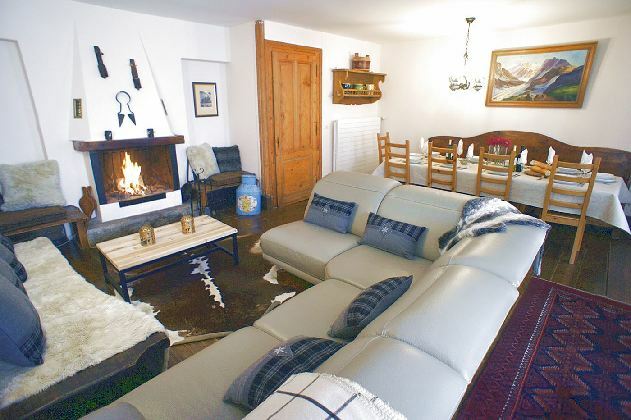 Stepping through the front door into the open plan living and dining area, there is a large stone fire place surrounded by deep comfy sofas creating a warm homely feel. 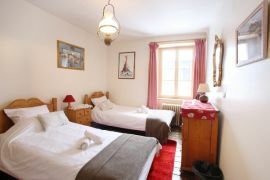 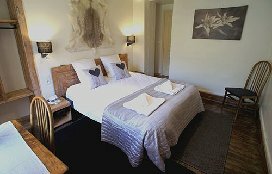 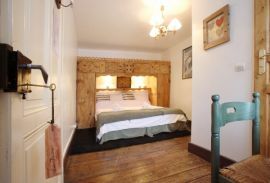 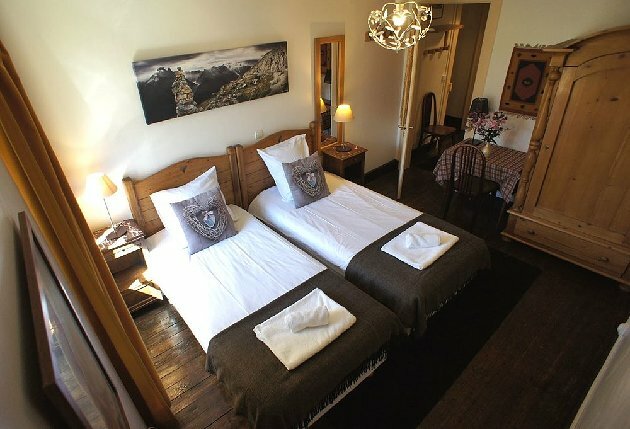 Upstairs the rooms are light and spacious with king-size beds and thick snug duvets, dark wooden floors and high ceilings retaining the buildings “old Mountain” feel. 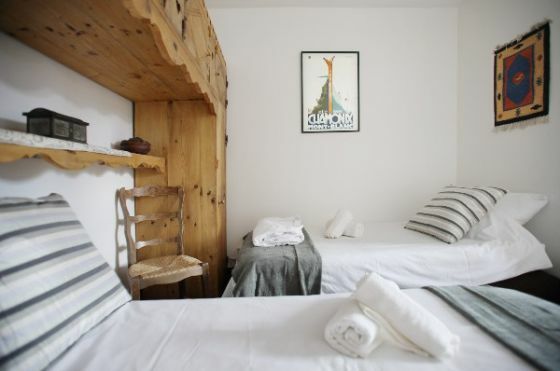 Chalet Vettore is operated by an independent chalet company offering a personal service with the team on hand to look after you at all times during your stay. 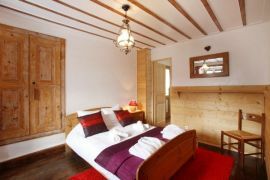 The chalet itself being in a 200 year old building is built over 3 floors with lots of high ceilinged rooms, wooden floors and great views. 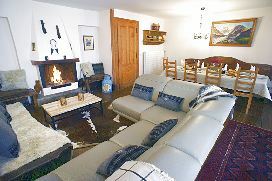 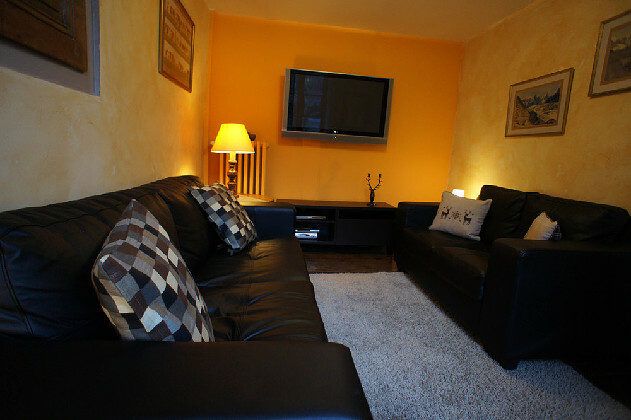 It is a comfortable, traditional chalet with a lovely fireplace and a cinema room (with play station and wii) and the chalet is warm and cosy. 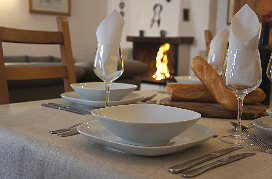 The chef will prepare a three course evening meal, using local and organic produce accompanied by complimentary wine. A plentiful breakfast spread is also provided to set you up for each day and all meals can be tailored to any specific dietary requirements. 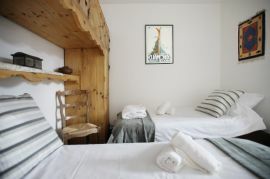 Towels and linen. 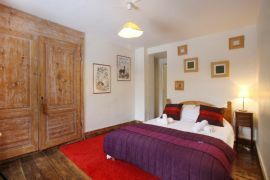 Duvets. Kettles in rooms. 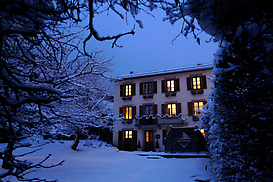 Maps, guides and books about Chamonix Valley. 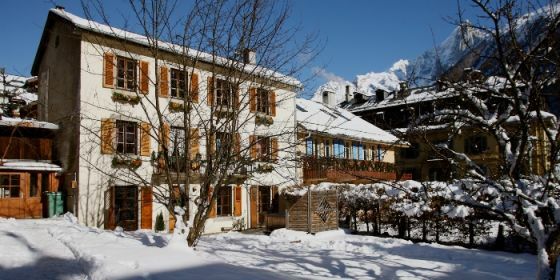 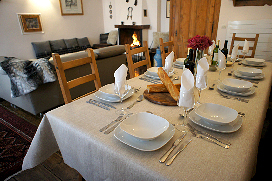 Housed in a 200 year old building, Chalet Vettore offers beautifully traditional accommodation. 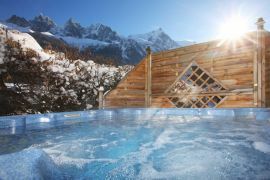 With 6 bedrooms sleeping up to 12 and ample entertainment from the cinema room with PlayStation and Wii to the outdoor hot tub, Chalet Vettore is perfect for groups and families wanting to relax away from the kitchen in a catered ski chalet.